Metal and MDF grilles have been used for as a stylish addition to houses, hotels and offices for years, particularly when covering unsightly radiators. 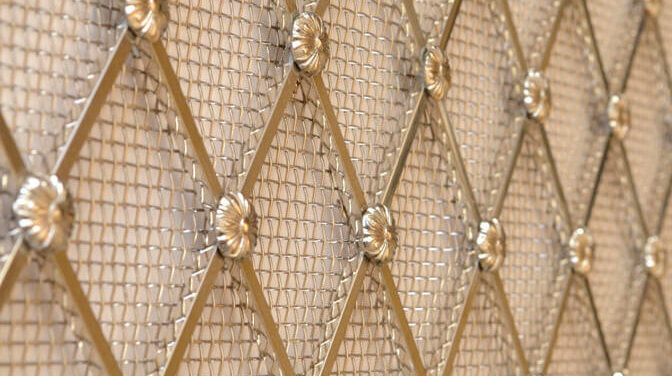 However, grilles can be used for many other purposes which are often overlooked during an interior design project. Here we highlight some of the many applications that the grilles can be used across. As with the metal grilles used for the ceilings and wall vents, installing well designed floor grilles can add that extra touch of class to the room’s finished décor. The robust manufacture of the floor grilles will provide the hard wearing grille needed for high footfall areas of the hotel, office or home. Most offices and hotels these days are fitted with internal air conditioning systems that feed through vents in the ceiling or walls. In almost every case, the grilles that cover the vents are unsightly and in some case verge on ugly, ruining the style and effort that had been put in to the rest of the décor. By having new stylish air vent grilles made, it is possible to cover the original vents and provide an excellent finish to the office décor. Refurbishing old furniture has become very popular in recent years. There are many YouTube videos showing ways of upcycling and styling furniture such as cabinets using decorative grilles. At Just Grilles we provide a wide range of cabinet door grilles to meet practically every style, from traditional to contemporary. As can be seen, metal and MDF grilles offer a variety of uses to help transform everything from an old cabinet to wall air conditioning vents, in any style. Here at Just Grilles, we pride ourselves on being able to offer every type and style of grilles to meet our customer’s needs. If you have any projects that involve the need of some grilles you would like to discuss, please feel free to call us on 01564 778182.